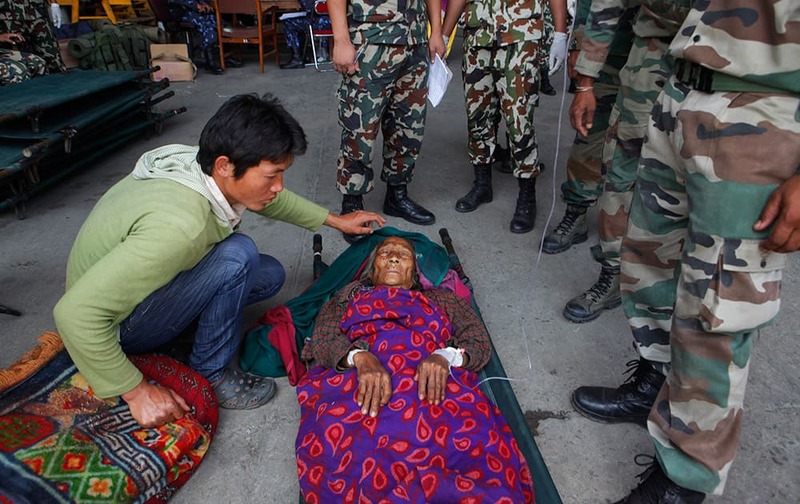 A Nepalese woman injured in Tuesday’s earthquake is comforted by her relative after she is brought from Charikot, Dolakha District at the Tribhuvan International Airport in Kathmandu, Nepal. 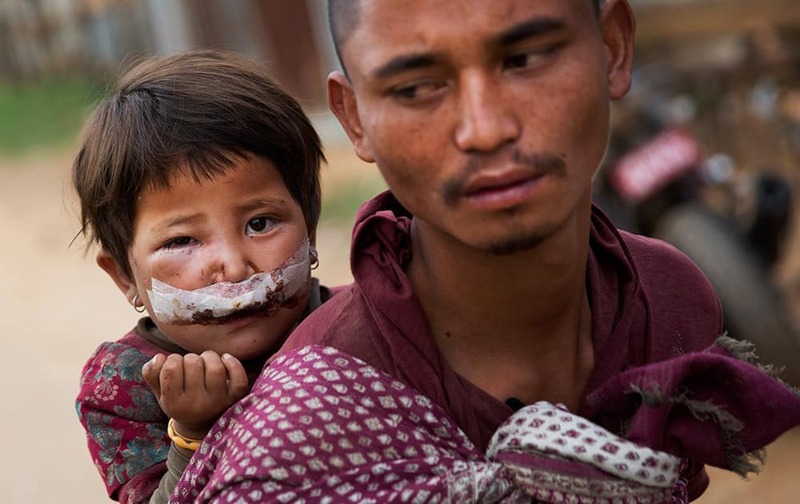 Nepalese child Subha Laxini, 3, who was injured in Tuesday’s earthquake is carried by father Lak Bahadur on their way to a camp for the displaced in Chautara, Nepal. 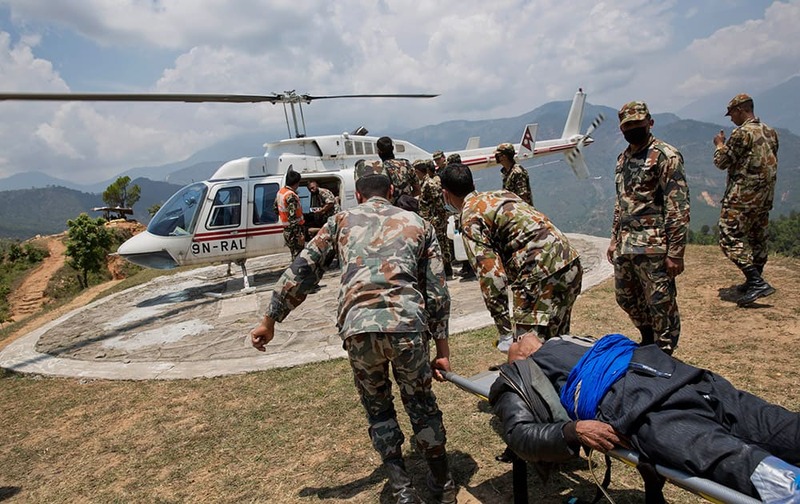 A helicopter waits to evacuate an injured elderly man at a Nepalese army base near Chautara, Nepal. 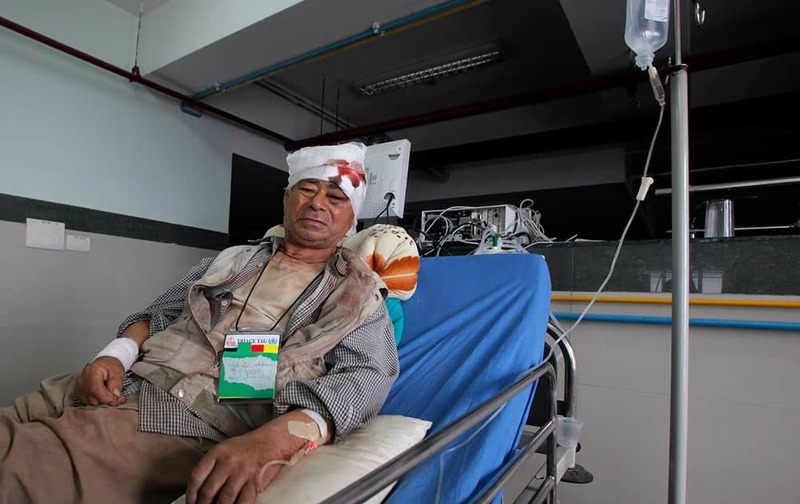 Bala Ram Nakarmi, 77, who was injured in Tuesday’s earthquake, receives treatment at the Bir hospital in Kathmandu, Nepal. 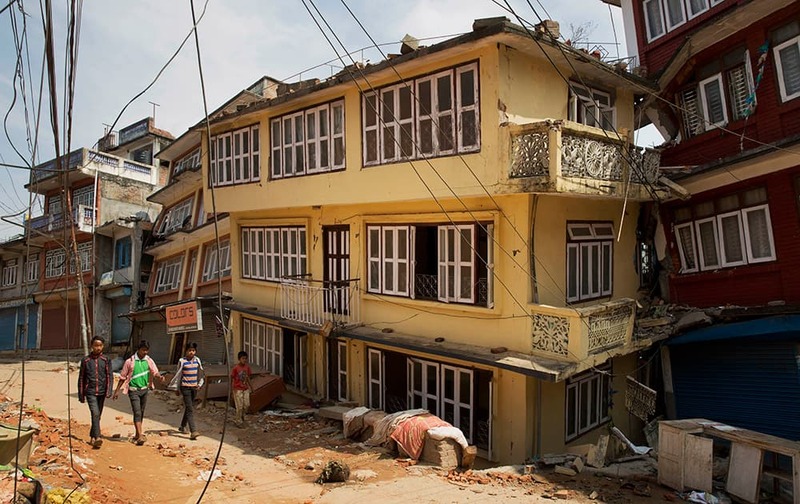 Nepalese children walk past quake damaged houses in Chautara, Nepal. 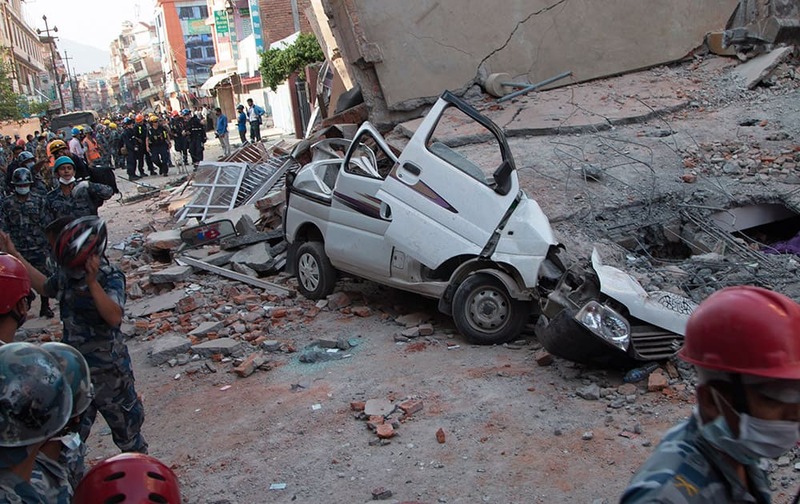 A car is seen smashed under the weight of a building that collapsed in an earthquake in Kathmandu, Nepal. 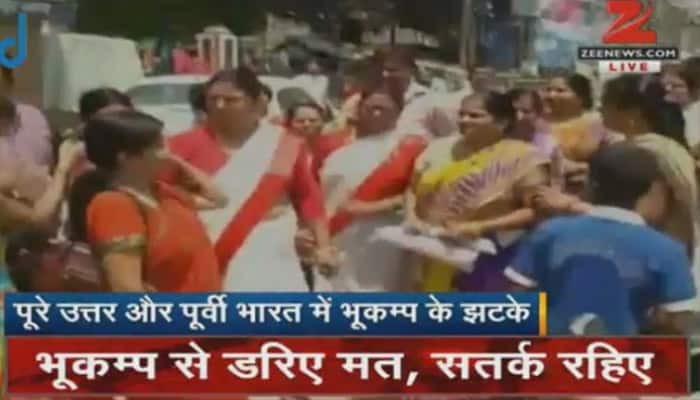 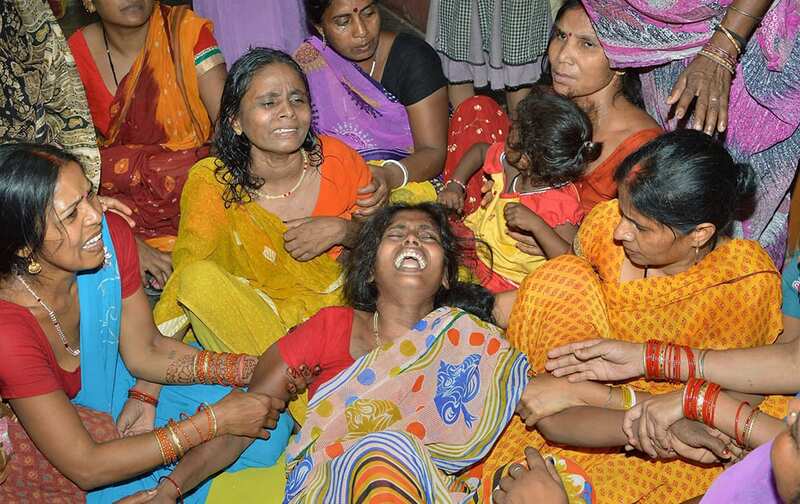 Women mourn the death of a family member after a wall collapsed in an earthquake in Danapur, Patna. 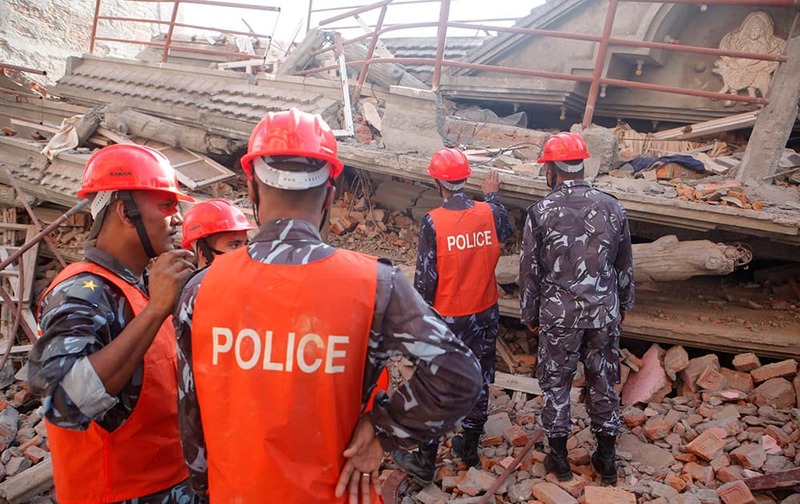 A rescue worker from USAID inspects the site of a building that collapsed in an earthquake in Kathmandu, Nepal. 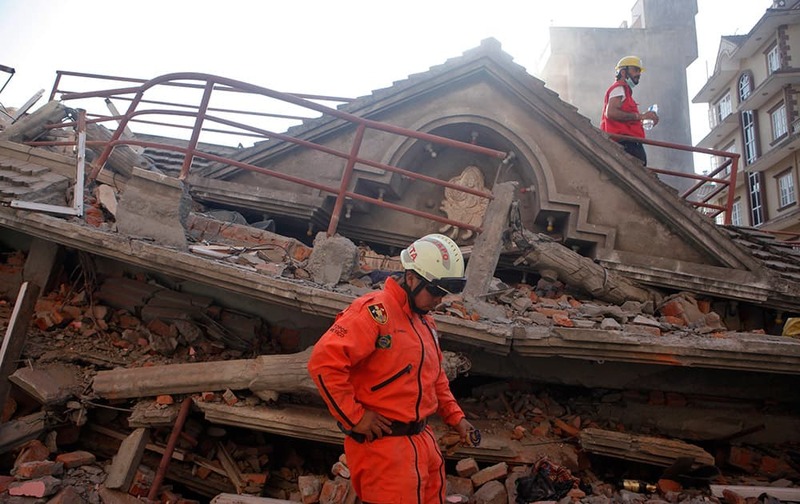 A Mexican rescue worker stands at the site of a building that collapsed in an earthquake in Kathmandu, Nepal. 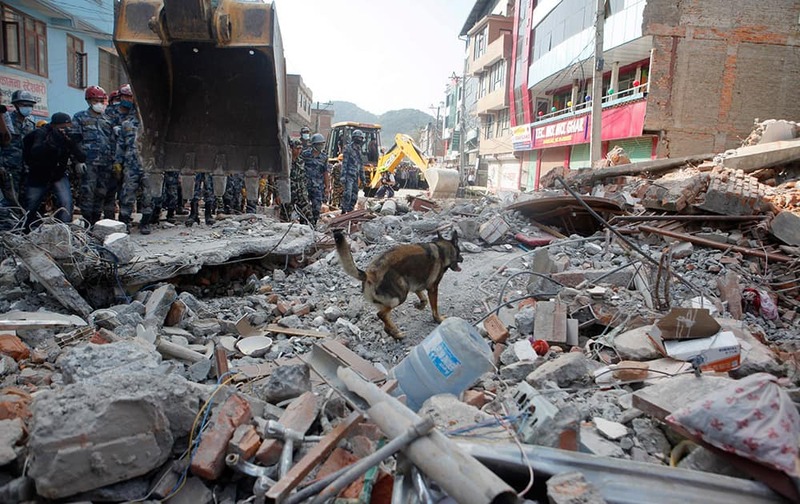 A USAID rescue team sniffer dog works to find survivors at the site of a building that collapsed in an earthquake in Kathmandu, Nepal. 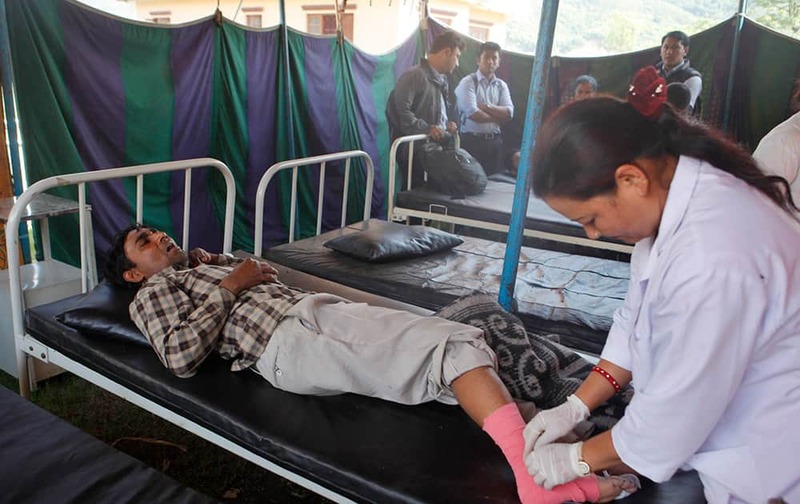 A Nepalese man receives treatment after being injured in an earthquake in Kathmandu, Nepal. 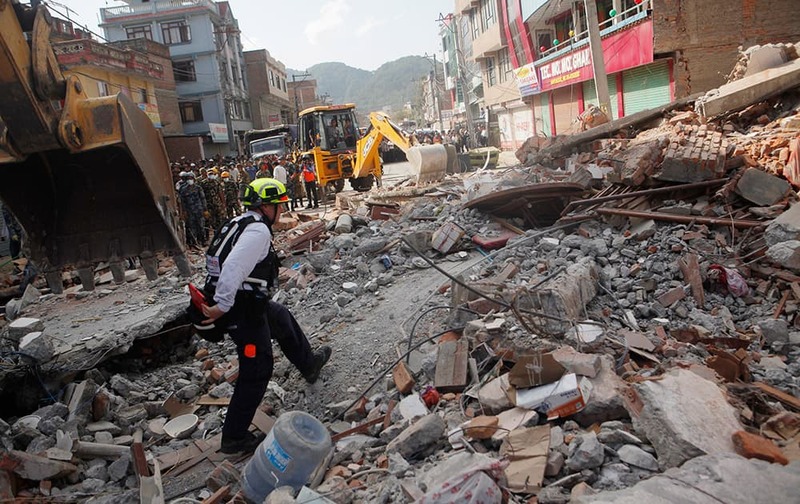 A Nepalese rescue team inspects the site of a building that collapsed in an earthquake in Kathmandu, Nepal. 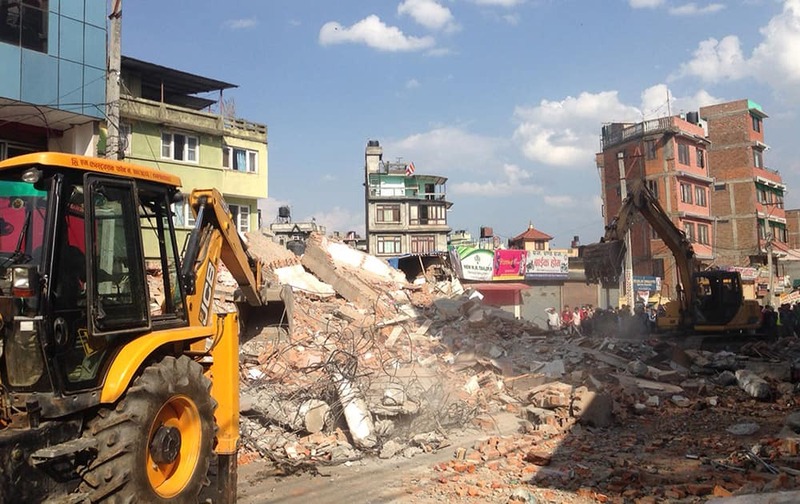 Earthmovers remove debris from a building that collapsed in an earthquake in Kathmandu, Nepal. 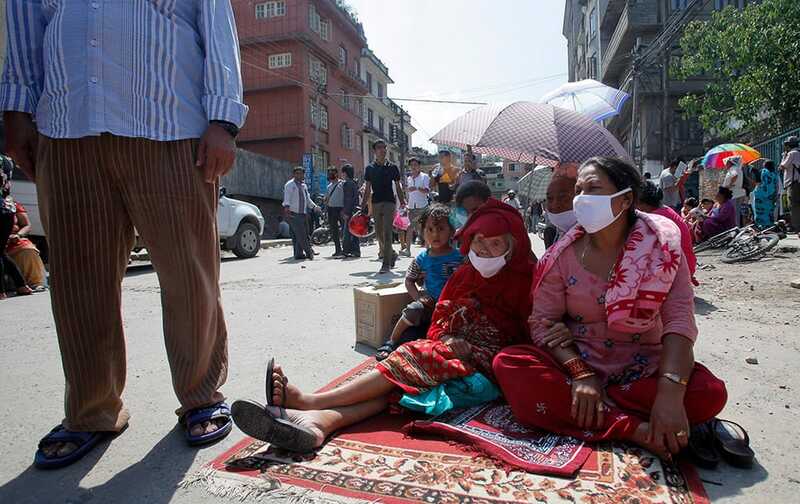 Nepalese people take refuge on a street after an earthquake hit Kathmandu, Nepal. 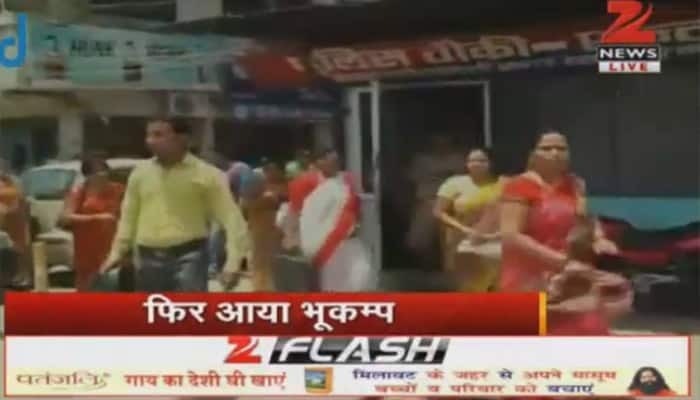 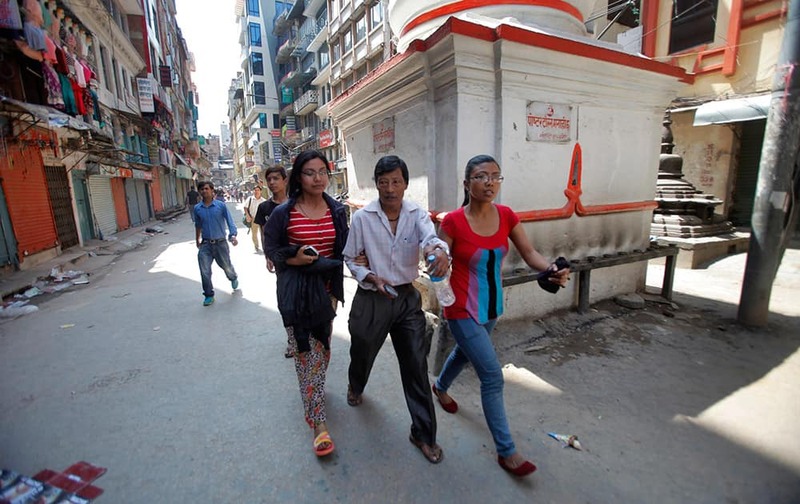 Nepalese people rush to safety after an earthquake hit Nepal in Kathmandu, Nepal. 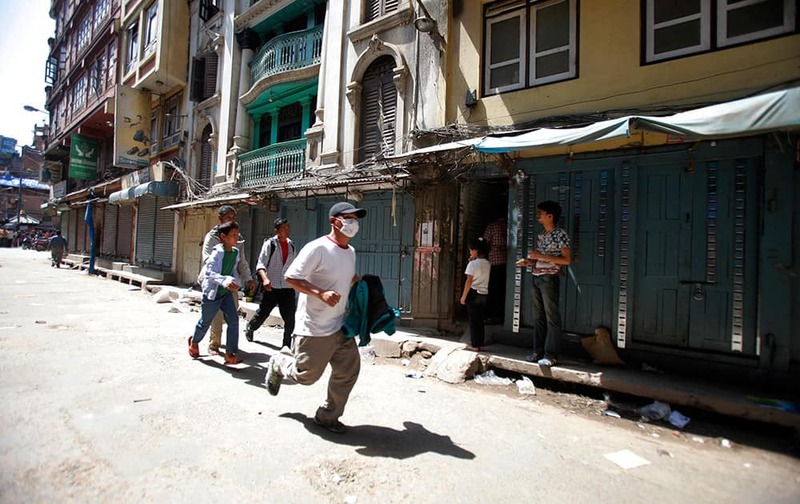 A Nepalese man runs to safety after a second earthquake hit Nepal in Kathmandu, Nepal. 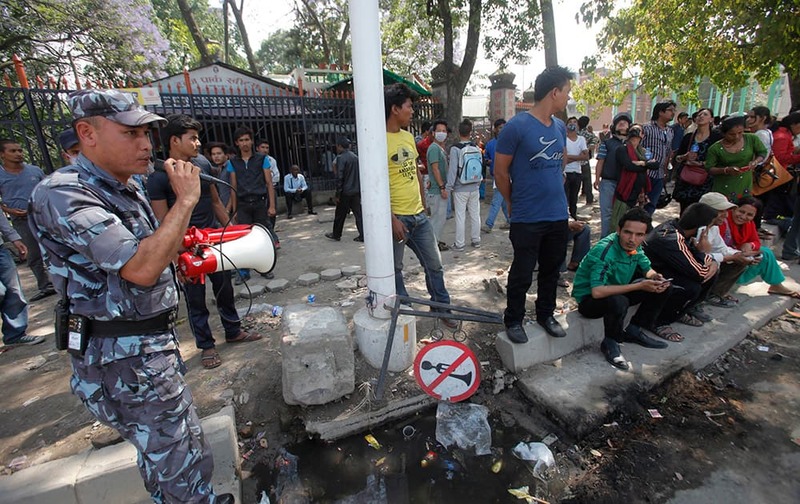 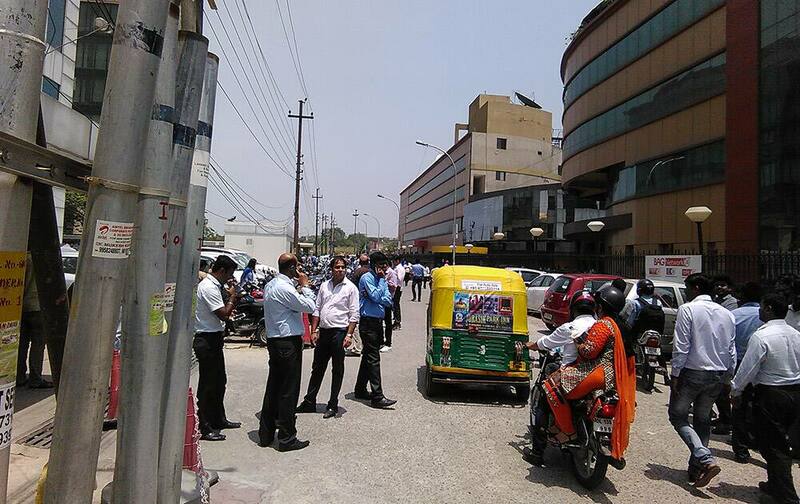 A policeman uses a loudspeaker to direct the public to safer areas after an earthquake hit Kathmandu, Nepal. 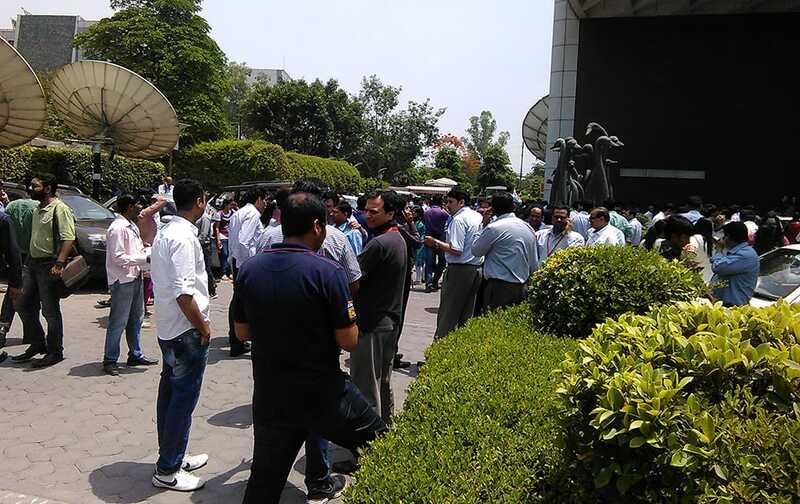 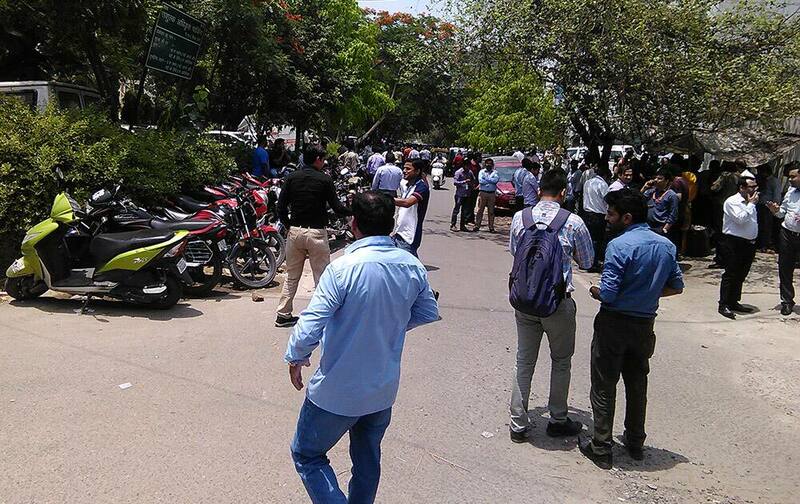 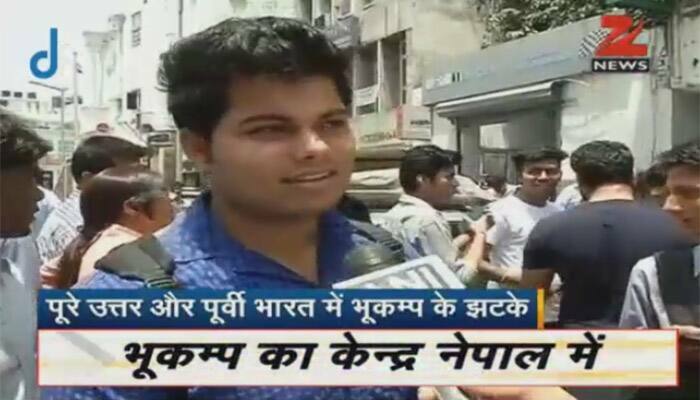 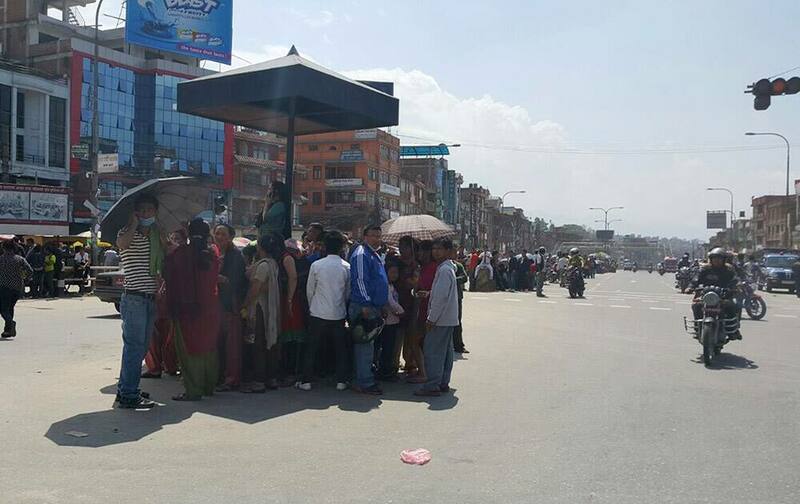 People gather in the street after an earthquake in Kathmandu, Nepal. 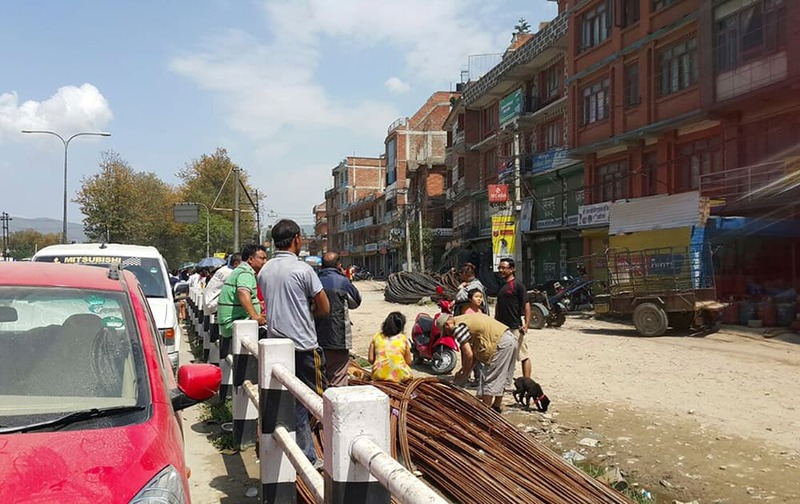 Nepalese people gather in the middle of a road during an earthquake in Bhaktapur, Nepal. 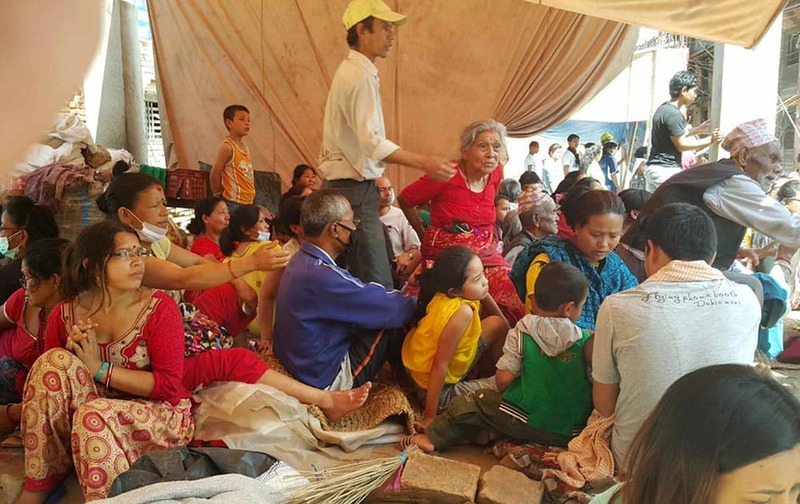 Nepalese people gather in a temporary shelter after another earthquake in Bhaktapur, Nepal. 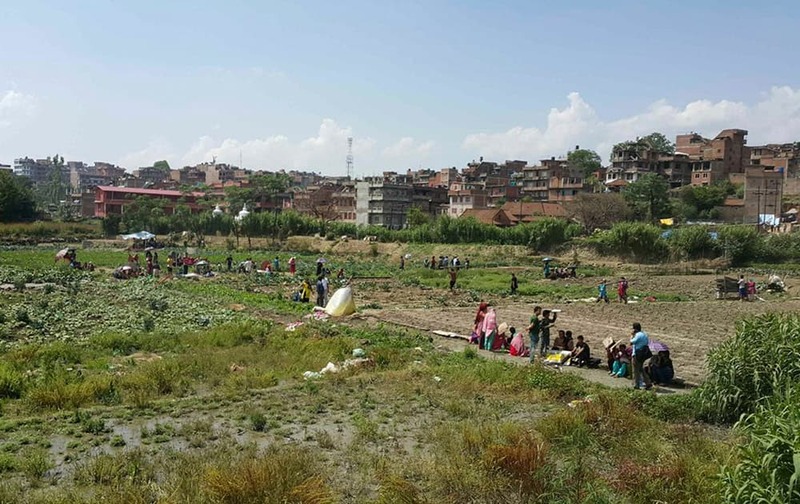 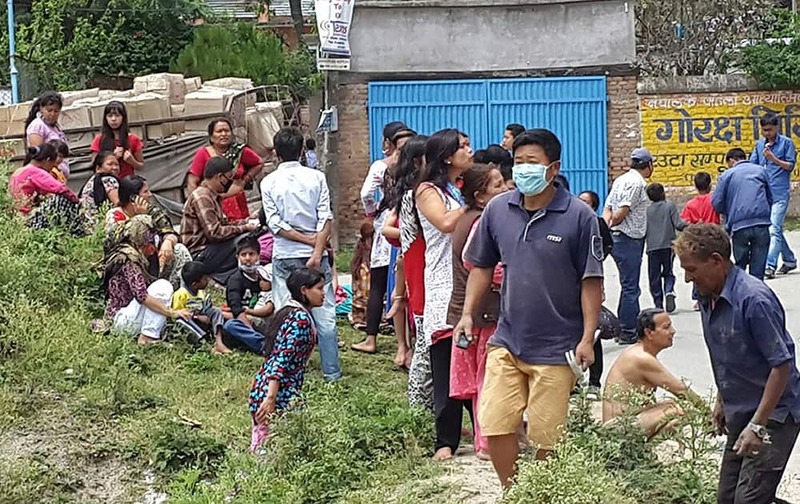 Nepalese people gather outdoors after another earthquake in Bhaktapur, Nepal.